Until now, Sport Auto’s fastest lap around the Hockenheim Short was with a Porsche 918 Spyder that completed the lap in 1:06.3. Christian Gebhard managed to shave off 0.1 seconds from that record with the Lotus 3-Eleven which is now the fastest road-legal production car around the track tested by Sport Auto. If you are impressed, you’d better act fast as Lotus has plans to make only 311 units at £82,000 (£115,200 for race-spec model). Tipping the scales at 925 kg (890 kg race version, dry), the 3-Eleven Road is motivated by a Toyota-derived supercharged 3.5-liter V6 engine pushing out 410 horsepower at 7,000 rpm and 302 pound-feet (410 newton meters) of torque from 3,500 rpm in the road car. The track-only 3-Eleven Race is substantially more powerful, with the engine developing 460 hp and 387 lb-ft (525 Nm). The street-legal version comes equipped with a close-ratio, six-speed manual gearbox working together with a Torsen limited-slip differential. 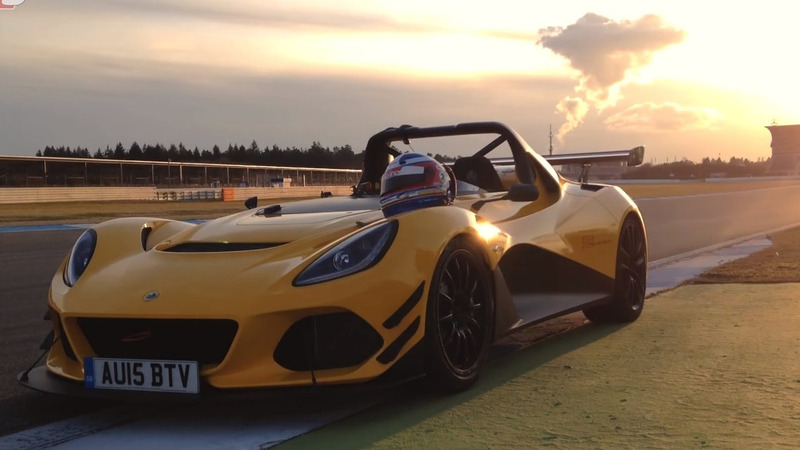 Go for the race car edition and Lotus will install a six-speed sequential transmission. In terms of performance, the road version will need 3.4 seconds until 62 miles per hour (100 kilometers per hour) before maxing out at 174 mph (280 kph) whereas the track model does the sprint in three seconds and tops out at 180 mph (290 kph).